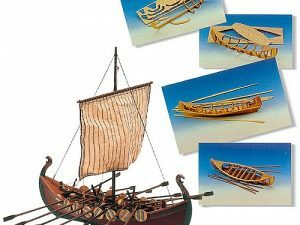 What a great way to introduce youngsters to ship modeling ! 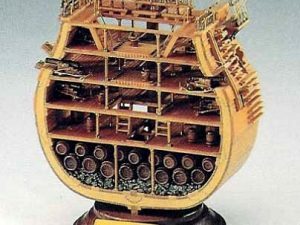 Now anyone can build a detailed ship model in just a few hours! 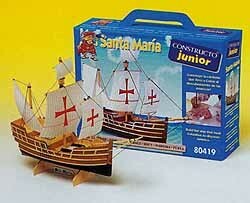 Each kit contains pre-cut wooden parts and solid wood hulls that require only minimal sanding. What a great way to introduce youngsters to ship modeling ! 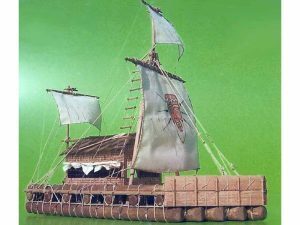 Now anyone can build a detailed ship model in just a few hours! 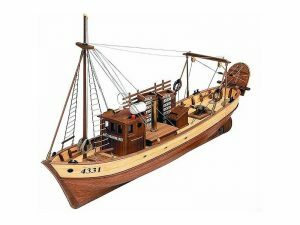 Each kit contains pre-cut wooden parts and solid wood hulls that require only minimal sanding. Brass and white metal fittings, cotton rigging and printed paper sails add realistic detail. Sandpaper, two jars of paint, brush and illustrated instructions are included. Finished models are 9″ – 11″ long and 10″ to 13″ tall. Recommended for ages 10 and up with some adult supervision.